Josee Reblooming Lilac | Henry Field's Seed & Nursery Co.
A Dwarf Lilac That Blooms Until Frost! 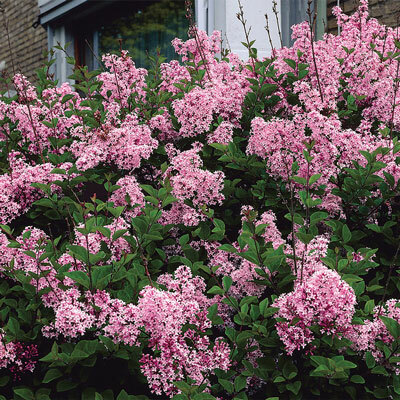 This hardy lilac loves the sun and is just the right size at 4-6 ft. tall as an accent shrub or grouped as a hedgerow. Fragrant, lavender-pink panicles of trumpet-shaped flowers are 4-5 in. long and can't be beat as cut flowers. Even butterflies can't resist this lilac. Zones 2-9. Zone 2 - 9 (-50° F.). Height 4 - 6 feet. Depth: Plant at the same depth as iti is in the pot. Spread: 4 - 5 feet. Foliage: Small, ovate to heart-shaped leaves in medium green. Blooms: Late Spring, intermittent blooming for all Summer until frost. Flower Form: Full, dense panicles 4 - 5 inches long of small trumpet-shaped flowers. Soil Requirements: Humus rich, well-drained soil. Pruning: As soon as flowers have faded in the Spring, old flower heads should be cut off. 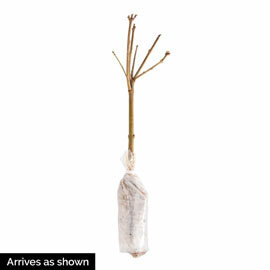 At this time, remove suckers growing from the base of the plant and cut out weak shoots, particularly those inside or toward the center of your shrub.